Jérôme Joy is a French composer and performer, living and working in Nantes (F). He studied at the Conservatory of Bordeaux (F) (instrumental and electroacoustic composition classes, with Fusté-Lambézat (Milhaud's student) and Éloy (GRM), and master-classes with Luis de Pablo, François Rossé, Etienne Rolin, François Bayle and Ivo Malec) and started as a performer, electronic / electroacoustic improviser and 'microphonist' in 1982. His meetings with La Monte Young, Rhys Chatham, Paul DeMarinis and Eliane Radigue along the 80s and 90s were decisiveSince the beginning of the eighties, his work is based on sound intensity, duration and loudness as structure and de-structuring of music. He's currently member of pizMO, MXPRMNTL, Subtecture, ONsemble and NoEnsemble. From 1992 to 2010 he has been teaching at the National School of the Arts, Villa Arson in Nice France, and taught the sound practices at the sound department (AudioLab) after Lars Fredrikson. He is presently tenured professor at the National School of the Arts at Bourges (F) and, since 2004, research co-director -with Peter Sinclair- of Locus Sonus, audio in art, research lab, http://locusonus.org/ . Occasionally he's teaching and has been teaching in Canada (UQÀM) and in USA (SAIC Chicago, visiting artist 2001-2005). He is currently engaged in a Ph.D. in audio art & experimental music at Laval University Quebec (title: Internet Auditoriums — Expanded Music / Music for Sonic Expanses : Music and Environmental Aesthetics — Earth-Mars Auditorium). Since the beginning of 80’s, his work explores the 'manufacturing' of listenings such as in-tempo and in-situ experiences and musical situations. This intention is an attempt to exceed the standardization of music & sound reception, by proposing long and physical sound immersive music works with unusual sound sources and processes : electronic and acoustic feedback, accidental and residual sounds, amplification and distortion, aleatoric processes of sound combination and surimposition, etc. His work is based on sonic matters of facts and on sound intensity, duration and loudness as structure of music. That allows the audience to be immersed into the vibrational structure of the environment through sound and music experiences. This way to develop a music 'by' and 'with' the environment reveal strong relationships between sound and space : to put them into vibration and into interaction. This is involving an active listening that is not dissociated of the sonic & spatial experience : a constant care has to be taken to discover and live various accidental and inferential variations as they occur and to engage modulations into listening (by moving, interfering, etc.). The oscillations between continuity and discontinuity, between masses and densities, and between transparencies and opacities, are the background of his music consisted of continuous sound, long & sustained tones and most of time at very extreme high volume. He’s currently member of the WLP World Listening Project board in Chicago, committee member of Avatar Québec, member of the research lab GRMS UQÀM Montreal, of the artist-run space Apo33 (Nantes), and member of the art-ivist community The Thing (since 1997). He was a co-founder of the instrumental ensembles Proxima Centauri (Bordeaux, F) and NoEnsemble (Nantes, F), and a founding member of improvisation & electronic music bands (pizMO, PacJap, Joystinckler, JOKTTJJEG, JJEL, MXPRMNTL, ONsemble) in France, in Canada and in Japan. He's also founder of several collaborative projects on Internet since 1995 (Collective JukeBox, nocinema.org, Sobralasolas !, RadioMatic, ForumHub, etc.). He has played, performed and lectured widely in Europe and internationally, and he has collaborated and performed with many musicians. His music is performed by soloists and several music ensembles in Europe : Proxima Centauri, Formanex, Oh Ton Ensemble, etc. 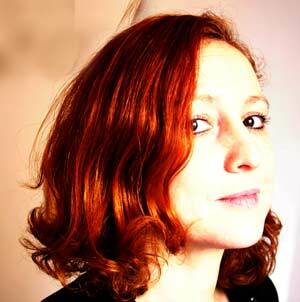 In recent years Joy has written many articles and papers for international journals and soundart and music reviews. He is the recipient of several commissioned music and radio works, and of residency grants from music and art centers in North America, Europe, North Africa and Asia. His cds are available on www.metamkine.com, tiramizu.net, fibrr records, and lenomdelachose.org/ohm/. Recent projects include : networked music performance and telemusic collective projects (‘Sobralasolas !’, nocinema.org, synema), noise instrumental & live electronic music and electro-acoustic music (‘Klar’ a series of pieces for clarinets, ‘Intensities’ a series of percussion works, ‘pizMO’ electronic noise trio with Julien Ottavi and Christophe Havard, ‘MXPRMNTL’ a drone music project with Anthony Taillard and Christophe Havard, ‘ALAP’ an electronic feedback drone music work of a duration around 7 hours, ‘Subtecture’ an infra-bass quartet). Recent research includes: ‘NMSAT Networked Music & SoundArt Timeline’, a huge online database of more than 3,000 historical references ; ‘Locustream’, a network of worlwide open streaming microphones, developed by Locus Sonus ; ‘Introduction to a History of Telemusic’, ‘Internet Auditoriums’, ‘Earth-Mars Auditorium’, research studies on noise music. Since 2011, Ph.D. student in audio art and experimental music, Individualized & Ad Hoc PhD program, Research director : Suzanne Leblanc. This research is developed from a musical point of view by probing and exploring, as a musician, music composer, and researcher, several hypotheses concerning notions and practices related to production, structuration, and reception of sound and music. My interest focuses first on creative and active aspects of audio practices into our societal contexts that embed more and more telematic actions and operations of sound transports, moves, conveys and transfers. In my view, and from observations, analyses, and music works I'm leading, it would be interesting to explore hidden forms of sound and musical structuring, which, first viewed as impediments, disruptions, interferences, or technical limitations, would open an unlimited musical potential. The sound propagation and the related acoustic effects could act and operate far beyond the physical and material walls of our listening place. That is why I opened several assumptions crossing both musical and sound production and 'manufacturing' (music composing, interpretating, playing), reception and perception (the listening), the presence and co-presence in the places and spaces, and practices of technical and social arrangements that allow interconnections between these actions, operations, and members of an audience, all being perceived as coherent, seamless, and homogeneous (that is producing an 'auditorium'). This exploration is growing step by step in my research and musical career: the involvement of acoustic properties in music (extended techniques, intonation, microtonality and acoustic interferences, musical acoustics, electroacoustic and electronic combinations), network music performances (distributed performers and listeners, permanent music and temporary listening, listening circuits), internet auditoriums (larger structure of the listening space at a planetary level), extensive music (idiomatic music for correlated spaces), the Earth-Mars auditorium (involving an extreme situation of listening and of sound production), music by intensity (based and structured on loudness and sound intensity), delay music (based on and structured by delays between transmission and reception), music 'by' the environment (based on and structured by impacts and feedback of spaces). and the virtual and ductile listened space through sound production (music, voice, ambient sound) proposed in this location (determined by the properties of space that color the sounds that propagate in space). In the digital age and of networks, the difference can be subtle between what is 'producing" an auditorium and what 'is' an auditorium : listening to the space and the listened space (similarly : visiting the space and the visited space, etc.). What we discern as an auditorium and a listening space is now overlapping the specific physical structures and architecture (concert halls, venues, etc.) towards enlarged sensory enveloping forms. It appears as a hybridisation of actions and spaces where tactics such as collective-driven, embedding mobility and spaces/places visits, networked and live-feed, and so on each contribute to the everyday experience. These operative processes of asynchronic & synchronic attachments to places, moments and to the now landscape a 'sensorium' while keeping characteristics of an 'auditorium'. Furthermore they are operators for an 'extended music' and for a music 'by' environment: when music and environment are intermingled, collaborate together, and both oscillate, and when music becomes anti-predicative and produces space by modulating and interacting with sonic expanses and continuities of the properties of the places. Connecting, inter-connecting and experiencing (inter-)connections of terrestrial spaces is part of our daily life (Internet). A next question is what will happen with our perception and subquently with our aesthetic experience when inter-connections with extreme spaces and milieux will be continuously and remotely accessible, because it will be still impossible to be there physically. Extreme spaces are both on Earth (underwater, polar and desert areas, nano-spaces, toxic spaces, far-remote and unpenetrable spaces, etc.) and in Outer Space. How will we be able to develop practices and experiences in order to perceive and to experience these sonic spaces and to manufacture specific listening while preserving the ecological balance of them (by avoiding 'terraforming' for adapting these locations for human habitability) ? What kind of limited or unlimited aesthetic experience are we ready to live and to be immersed in ? Because we continually move, mentally and physically, we need sensorial and intellectual excitations for living, thinking, acting, and operating. In this way and by extending these reflections, the current Synema study is a first exploration concerning the very next opening of a 'Earth/Mars Auditorium' when a microphone is set on the distant planet (ca. 2016-2018) and human missions to Mars (ca. 2025-2030) will be part of our reality. The operation of connecting ambiances and environments between two remote spaces and places as distant as those of Mars and Earth could enable the consideration and amplification of the planetary dimension of our current listening with a new angle. We need to explore and to consider a larger auditorium we're modulating and playing. 3) sensorial and aesthetic experiences of sonic tele-propagation beyond the acousmatic listening1 we already know. We wish to consider singular properties, impacts and outcomes of networked systems such as their immaterial structure and organicity, and their virtual acoustics and spacing aspects for inventing and contributing to an idiomatic cinema and music. The latencies, delays and time effects produce a whole range of lattices of variations and of transformations embedded into individual and collective listening (or, more specifically, of a togetherness by individual experiences) that everyone could consider as patterns and 'idiorrythmic' operations of attention and of aesthetic experience of the everyday. These promised operations and to a large extent what we are already engaged in, can correspond to what we're expecting of future aspects of music and of music listening with out-of-reach sound : networked music performances are now and have been for a few decades an existing field of music experimentation and of 21st century concerts developments — The best known and much-publicised examples included: Pierre Henry with one of his last creations, Paroxysmes, playing at a distance for a networked concert in Hobart Tasmania for the Mona Foma Festival (Jan. 2012) ; Beethoven's 9th Symphony conducted by Seiji Ozawa and played with simultaneous distributed live groups of singers synchronised on five continents via satellite connexion for the opening ceremony of Nagano Olympics Games in 1998 ; tele-concerts and performances by the English band FSOL (Future Sound of London) playing from their home to audiences at remote festivals (ISDN live, Transmission 2, The Kitchen, 1994 May 11, and November 4 & 5) ; and the most experimental ones included: music works by Pauline Oliveros with distributed musicians and audiences for live concert performances, for outer space, and for live Second Life events (the Avatar Metaverse Orchestra) ; and of course music works by Pedro Rebelo, Max Neuhaus, Bill Fontana, Atau Tanaka, The Hub, Maryanne Amacher, etc. The development of networked music performances lies not only in the technical achievement and technological challenge of broadband networks to reproduce music (with a hi-fi reflex related to live music performance duplication), but mainly in the development of music designed and conceived for networked systems. Since networked music configurations interlace spaces and involve properties of those ones, our assumption takes into account effects and responses of such a mixed environment, or more precisely of such a combination of environments. Thus a music or a sound work for networked spaces is consequently 'environmental' or a work 'by environment', i.e. a work that collaborates with it and whose elements and conditions is dependant on interactions with and responses from the environment(s), the context, and the (eco)-system(s) that generate it. In a larger sense these characteristics could imply notions of environmental aesthetics and of ambiental aesthetics. Concerning the Earth/Mars auditorium hypothesis initiated with the Synema project, and the developments of a 'synscape' project and a kind of 'space-time sensorium' for astronauts along their long trip (6 to 9 months) and visit to Mars (ca. 18 months), our attempt involves issues emerging from the interconnection and correlation of sonic spaces based on spatial and temporal cross-linking and distribution. The intention of the 'synscape' project concerns the proposal of an evolving sound mixing and folding all along the travel(s). For instance: live streaming microphone captures from both planets, or sound modulations driven by variations of sound ambiances, etc. by twisting slowly from Earth to Mars sounds, and music fabrication systems ('space-time sensorium') between Mars and the Earth. These projects will be developed while taking into account delay times (the one-way communication delay with Earth varies from 4mn to 22mn due to the speed of light), other constraints and extreme conditions inherent to the travel in outer space and the stay on Mars: habitat and habitability, acoustic permeability, 'exteroception', and familiarity, promiscuity and creative motivation, collective-based deprivation and individual contribution, sound perception into the Martian environment (disabilities, needs of sonic distances) and memory of field and aesthetic experiences, etc. They could breach problems of isolation, of clipping and of containment which could cause problems of solipsism for instance,2 while proposing systems of discontinuous & continuous sensorial excitations for the astronauts, and at the same time, of a space of participation between the two communities of Earth and Mars, and of a space of 'earth-martian' and 'mars-earthling' productions. Our projects create problems more than solve them and problematize issues for the scientific, artistic and social communities. Our research is more based on actions and operations of synchronicities (synchronisation, de-synchronisation, re-synchronisation) and of 'tuning' (in French : syntonisation) than on descriptions of the chaining of spaces and times such as an factual extension of our listening places. Thus these operations we're already acting into our current and existing ways to listening to music and to everyday and mundane sound environments, rely on actions of modulations like filtering (with our bodies), amplification, following of and suiting sound paces by distinguishing elements and aspects into them, masking, partial listening to unlimited processes, and so on. That corresponds to aesthetic, experiential situations, creative and participative spatialisation experiences. We're acting into our environments (and interacting with them) and we're engaging at any time and everywhere aesthetics experience. By our moves and our listening we're filtering and modulating and tuning with the sonic environment constituted by sound expanses (that come toward us or that we continuously cross and criss-crossing) even if they are coming from remote or absent sources and brought to us by telematic operations into our own acoustic environment. At the same time we're tuning with other listeners and actors who we perceive the co-presence of in space (togetherness). Thus into a project embedding extreme conditions such as those of an Earth/Mars auditorium, we have to examine and to investigate with scrutiny what that ensures and preserves continuities and stabilities into our perception and our experience of (inter-)connected and joined remote spaces experienced as seamless spaces. This is related to qualities of ductility and plasticity — like membranes, biomes and sensory environmental envelopes — of what remains and is maintained as an 'auditorium'. Another aspect of this larger auditorium (extended to an interplanetary dimension) is to imagine the next Internet and its future, i.e. next developments into electronic communication (telepresence and co-presence) at very large and incommensurable distance. We'll have to prepare an extension of our sensorium by adapting ourselves and our hearing capacities to an 'altered' acoustic environment to which we could access remotely and telematically before directly experiencing it. This contains speculative aspects of architecture (habitat, forms) and of structure (field, systems) by probing and working extreme conditions and situations of the sensible experiences : with two sonic environments as remote as possible involving between two virtual acoustics and internal reciprocal physical ones, and with communication standards and systems: those of today and those anticipated in the near future. Confronting a new sensible register, we'll have to explore how we could combine it with our existing sonic environment and how we could incorporate it in order to imagine next martian, earth-martian, and mars-earthling sound and music productions, i.e. what we could 'manufacture' sonically and musically, starting from our listening and experiences of these given combined environments. Our perception of environments seems to be indivisible : sounds emerge together. We know how to tune and to interact with our earthling environments: from decoding and analysing the sound signals, to displacing and playing field recordings, and to making music in places and spaces, as in 'out in the open' situations. In addition we'll have to understand how to learn, to experience with, and to participate in martian sound environments and in the distance between the two planets. The challenge will be certainly to ask if a terraformation of our listening or if a terraformation (or an 'acoustisation') of the Mars planet will be necessary (which raises an ecological and ethical point of view). It is dealing too with deficits and disabilities (of synchronisation, continuity, time delay in communication between Earth and Mars) in order to preserve types of 'ecotones' and of ecosystems of and between the two planets, the two communities, and the two environments (to act into an 'auditorium', to make an 'auditorium'). The notion of 'ecotone', transposed in acoustics and sound research fields, relies on two principles : that of continuity (recurrences, structural aspects, organicity) and that of discontinuity (fortuitous events, unexpected saliences, signal losses and cuts), that both operate on our listening (to music or to environments or to background noise). The sense of 'tuning' and of modulation in space and time from us as listener(s) is relying on our reaction to and interaction with (and our perceptions of) formal and informal lines or elements into sound environments and a fortiori in music (this is relevant in experimental music, for instance: improvisation music, noise music, generative music, etc.). That joins other in-progress studies I'm leading related to music based on sound intensity (loudness) as an attempt to approach a music constituted by interactions and modulations with, and immersions into the environment — that I consider as 'extended music' (or music for sonic expanses), unexpressive one, and that is not based on 'out of sound' decisions and on analytical listening: such as studies on noise and harsh noise music such as the works of David Tudor, Iannis Xenakis, and La Monte Young. Another facet of these studies is relying on music based on sound delay (a live time lag between sound emission and reception), that will surely open reflections on the use of duration in music or better to say on music listening duration and music production that does not corresponding to music duration2. What appears as a problem with the Earth/Mars auditorium (the incompressible time delay) for verbal communication between interlocutors located on the two respective planets could be a new investigation in music and an extension (into larger dimensions) of what we experience in networked music performance, related to live experience, synchronisations and participation: a music that expandes, that folds and unfolds, and that evolves with its environment and space-time contexts. Taking into account network communication defaults and artifacts as properties of a specific acoustic, even if this one is conceived as virtual, could help us to distinguish an idiomatic music (at least initially : delay music). A first step could be that such projects ('synscape', etc.) can be modeled on Earth by taking extreme conditions of the martian environment as analysed today (delay time in communication, characteristics of the Mars acoustics, etc.) and by applying them on music listening and production. Although scientific analysis, simulations and observations (remotely performed with the help of telescopes and of satellites) bring out almost assured and verified conditions of the Martian environment and the travel to Mars, there will always be differences with future direct experiences (as it is the case today with the supposed presence of methane on this planet predicted by the analysis but invalidated by the field probes lead by the rover Curiosity). Finally this also concerns music collaborations with environments beyond today's current practice of field recordings and of phonographies in order to heighten other facets of aesthetic experience with music and listening. That is, to modulate and oscillate with the surroundings and audio streams for having a more sensitive experience without predication, expectation and preferences into a vast sonic space — instead of always being based on 'events' vs 'non-events' distinction and inventory (of what exists in space and in places and bore by a discourse on space and by representational conception) and on naturalism and realistic perspectives (vs noise, density and saturation). Our perceptions of background noise and sonic scenery are certainly essential comparing sound saliences and figures that we distinguish and separate as 'events' and sonic signals. Actually these perceptions often neglected (in music for instance) help us to better 'sense' the space around us — as if the space was 'musicalised' and continually offered aesthetic experiences (physical, social, situational, contextual, environmental, etc.). We experience the fact to be a part of the environment: how our bodies are immersed into the environment (and blend into the background) and how our systems combine and collaborate with it. Moreover whatever we listen to (music, ambiance, etc.) — or hear, at the level of an auditory experience —, listening requires an experiential 'sense' of space in order to better follow sound 'lines', its complexity, sonic organisations, combinations, animation, responses in space and time2. The ruggedness of space (present in its responses and animation, and in intensity and density thereof) combined with its ductility (mobile and evolving shapes and forms) and with its capacity to accommodate and to feed fortuitous, incidental and temporary sounds, provides occasions of production of this sense/ation that could be interesting to compare it with (musical) emotion we feel, beyond any effect of expression. Our listening spaces are less places of contemplation than places of participation in, of action and engagement into, and of improvisation with these surroundings: from landscape to soundscape, to taskscape and finally to 'synscape' (as an aesthetic and artistic involvement). The very notion of 'auditorium' doesn't have to be restricted to the standardisation of music and of listening (that has evolved historically until the architecture of today's concert venues) and must propose a kind of unlimited collaboration, as well as the promise of an 'unlimited' music, between listeners, producers, listeners and producers, and finally between each of them and the environments, contexts and milieux. This new manufacture/fabrication, more porous and which uses circuits, chaining of spaces, etc. while remaining homogeneous and continuous, is based on structures which authorizes us to distinguish them as 'auditoriums' as well. Synema (and 'synscape' and other next and on-going music projects related to the Earth/Mars auditorium) would serve as a 'clutch' for such auditory and sonic membranes, and for immaterial and architectonic listening structures and auditoria based on expanded and relayed acoustics. • Joy. J. (2013). Earth-Mars Auditorium. Research Study. PhD audio art & experimental music, Laval University Quebec (CAN). • Joy. J. (2013). Extended Auditorium — Acoustic Architectures. Research Study. PhD audio art & experimental music, Laval University Quebec (CAN). • Joy. J. (2013). Live Sound. Research Study. PhD audio art & experimental music, Laval University Quebec (CAN). • Joy. J. (2011). An Utimate Action – David Ryan & Jérôme Joy - CapcMusée d'Art Contemporain de Bordeaux, january 1984, an action and an exhibition. Archives of the Art Collection of the Capc Contemporary Art Museum of Bordeaux. 2012. (forthcoming). • Joy. J. (2010-12). Networked Music Performance. Wikipedia article (French version). • Joy. J. (2009). Chantal, a work by Luc Ferrari. In cd booklet « Luc Ferrari – Chantal ou le portrait d'une villageoise » (Chantal or the portrait of a village dweller), published by Jérôme Joy and Brunhild Ferrari-Meyer, (pp. 5-8), Ohm Avatar cd label, Quebec (CAN), 2009. OHM 051. • Joy. J. (2009). http://joy.nujus.net/ http://jeromejoy.org/. French and English versions. In « WJ-Spots #1 – 15 years of Net-Art in France », (pp. 60-61), MCD Music and Digital Culture, special issue #03, sept. 2009. • Joy. J. (2004). SAET - Sound Art Exhibitions Timeline - 1964-2004. Online article, updated in 2011 - new version in 2013 with the collaboration of Thom Holmes. • Joy J. (1999). Net audio projects . In proceedings International Conference - « Invenção : Thinking the Next Millenium », http://www.itaucultural.org.br/invencao/invencao.htm, Roundtable Sonic Interactions, with Andrea Polli, Stefaan van Ryssen, Andrea McCartney, ISEA, Arts Leonardo ISAST, CAiiA-STAR, Itaù Cultural Institute, São Paulo (Br), avril 1999. • Joy J. (1997). Conversation Malcolm Goldstein / Jérôme Joy . In Revue&Corrigée, trimestriel, n°35, (pp. 10-16), Nota Bene (Ed. ), mars 1997. 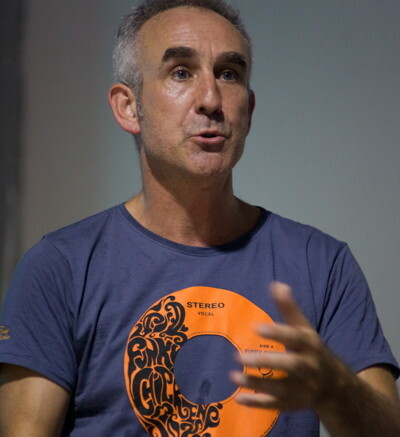 Peter Sinclair is a digital media and sound artist. 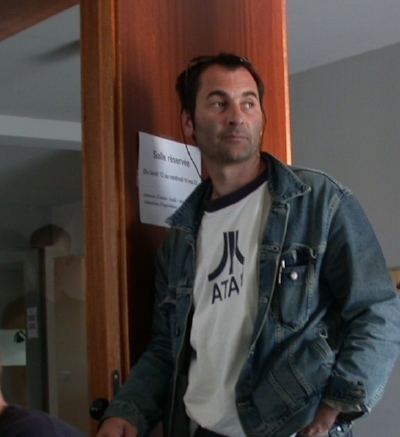 He is a tenured professor at École Supérieure d'Art d'Aix en Provence where he has been responsible for the sound department since 1996, http://www.ecole-art-aix.fr/. He is also currently a member of the scientific council for research and studies at the DAP (fine arts department) of the French Ministry for culture and research director with Jérôme Joy of Locus Sonus which is a collaboration between École Supérieure d'Art d'Aix en Provence, École Nationale Supérieure d'Art de Nice Villa Arson and Université de Provence - Aix/Marseille LAMES CNRS-MMSH. Peter Sinclair is known for his sound installations and other cross-disciplinary works which use sound as their principal medium. Excited by technology but handling it with critical irony, his work has moved from burlesque mechanics, through the misuse of computers to performance that parodies modern media language in transatlantic streamed-collaborations. Aside from his personal artistic productions Peter Sinclair participates in various collectives such as "PacJap" and "Daisy Chain" and he has been working with New York based artist GH Hovagimyan since 1996. Their collaborative works, which include Exercises in talking, a soapopera for laptops, Heartbreak Hotel, Shooter and ''Rant rant back back rant', have been shown frequently in Europe and the US. He's co-founder and co-director of Cap15, artists studio complex situated in Marseille. Ph.D at CRiSAP / LCC UAL University of the Arts London (subject: Road Music: Flux as art: generating music through the interpretation of a situation as it unfolds). Thesis submitted in fulfillment of the requirements of the University of the Arts London for the degree of Doctor of Philosophy. The use of real-time data in art raises a specific problem: How can the work be dependent on external flux and simultaneously have form that we can consider as artistic. The practice driving this research is called RoadMusic. The project uses a small computer based system installed in a car, which composes music from the flux of information it captures about the journey as it unfolds. To deepen my interrogation of the specificity of an art of real-time I consider philosophical theories of the fundamental nature of time and immediacy and the ways in which the human mind ‘makes sense’ of this flux. After extending this scrutiny via theories of system and environment, I proceed to extract concepts and principals leading to a possible art of real-time flux. Time, immediacy and the everyday are recurring questions in art and music and I review historical practices that address these questions. However, the art of sonifying data extracted from the environment is arguably only as recent as the computer programs it depends on. I review different practices that contribute towards a corpus of sonification-art, paying special attention to those practices where this process takes place in real-time. I discuss where RoadMusic fits in this spectrum. I describe the evolution of the RoadMusic project and add user testimonials, audio and visual documentation. I discuss the particularities of this artwork and the subsequent questions it poses in terms of public presentation, of the actual existence of the work and the way in which I respond to these issues. The possibility of making real-time based art is a recent development, simply because, at least in the sense in which it is used in my practice, it is dependent on computer technology, indeed the concept itself is related to programming jargon which opposes real-time to non real-time. In computer music, real-time is defined as the capacity of a computer to ‘complete the calculations for a sample within the duration of one sample period’ (Roads 1996, 102) or more loosely to generate sound at the rate at which it is played, rather than rendering a file in differentiated time which is then played back. Much of what we might today call real-time art (interactive installations, hypermedia or augmented reality) finds its origins in media based arts of cinema, video and recorded music. In the context of this research I will propose a different approach, one that involves the automated elaboration of form from immediate data that places the present moment at the centre of the artwork. The ambition of RoadMusic is to generate music for the car which adapts to the journey as it progresses. To do this I have developed a program which runs on a dedicated mini-computer equipped with sensors and place inside the car. The sensors collect information about the drive in real-time and the music is derived solely from these flux of data. Immediacy in itself is not art –it is just life (or in computer terminology just raw data) and the main question posed in this thesis is: how is it possible to mediate the situation as it unfolds in such a way that it constitutes art? Notions of flux in art are not new: art that becomes is as old as music itself and furthermore, until the recent advent of recording technologies, music or other forms of performance unavoidably took place as you experienced them. However, such works are traditionally dependent on the live presence of the performer rendering the piece before an audience and are consequently shaped by the constraints and particularities of the situation of representation or performance. Most importantly this implies that the rendering of the artwork becomes an event or special occasion that in itself (almost by definition) distinguishes it from the flux of the everyday. If art works undeniably include the flow of time, the sanctification of the process through its insertion into a space dedicated to art, operates the same type of transformation on our perception of it, as does that of the ‘special occasion’, of the performance. In this thesis I consider the possibility of an art produced in and for the everyday and non-consecrated space. RoadMusic is a sound based piece that relies on computer-music techniques. However it differs from more mainstream principles of real-time computer music such as algorithmic composition, electronic instruments design or the interactive manipulation of pre-recorded media. With these practices the music is created either by human gesture or (with algorithmic composition) by processes which are hermetically sealed off from the world outside the computer. The functioning principle of RoadMusic is a process known as sonification that it is to say that it is driven by data external to the device and the auditor. Sinclair, P. L’Art de la Sonification en Temps Réel. In actes du colloque "Obs/IN 2011", édité par l’Observatoire des Images Numériques, ENSP École Nationale Supérieure de la Photographie Arles, ESA École Supérieure d’Art d’Aix en Provence. 2012. publication à paraître, 2013. Sinclair, P., Gresham-Lancaster, S. Sonification and Acoustic Environments : The relationship of spatial acoustics to listening, of real-time to narration and how this relates to ideas of gestalt perception. In MIT LMJ Leonardo Music Journal, Issue nr 22, “Acoustics”, édité par Nicolas Collins, pp. 67-71. Nov. 2012. Sinclair, P. Living with Alarms. In AI & Society : Knowledge, Culture and Communication, Proceedings of Locus Sonus Symposium : « Sonification (What, Where, How, Why) », Guest editor Locus Sonus (Peter Sinclair), Volume 27:2, (pp. 269-276), May 2012. London : Springer (Pub.). 2010. Sinclair, P. Sonification (what, where, how, why ; artistic practice relating sonification to environments). In AI & Society : Knowledge, Culture and Communication, Proceedings of Locus Sonus Symposium : « Sonification (What, Where, How, Why) », Guest editor Locus Sonus (Peter Sinclair), Volume 27:2, (pp. 173-175), May 2012. London : Springer (Pub.). 2010. Sinclair, P., Joy, J. Networked Music & Soundart Timeline (NMSAT): A Panoramic View of Practices and Techniques Related to Sound Transmission and Distance Listening. In Contemporary Music Review, « Network Performance », Vol. 28, Nos 4/5, (pp. 351-361), Taylor & Francis Group, Oxford: Routledge (UK), 2009. Sinclair, P., Joy, J. Espaces Sonores en Réseau - pratiques de la recherche en art, Locus Sonus. In « Recherche & Création - Art, Technologie, Pédagogie, Innovation », sous la direction de Samuel Bianchini, (pp. 122-139). Paris: Éditions Burozoïque / Les Éditions du Parc, École Nationale Supérieure d’Art de Nancy, 2009. Sinclair, P., Joy, J. Networked Sonic Spaces (Les Espaces Sonores en Réseau). In GlobalWare Corporation (Ed.) Roots/Routes, International Computer Music Conference ICMC’08 (Panel : Networking Performance) (pp. 553-555). Belfast : SARC, Sonic Art Research Center, Queens University, & International Computer Music Association ICMA (Publishers) Tampere: GlobalWare Corporation. 2008. Sinclair P. Locus Sonus. In « Autumn Leaves — Sound and the Environment in Artistic Practice ». Edited by Angus Carlyle, CRiSAP Creative Research into SoundArt Practices, LCC London College of Communication, University of the Arts London, (pp. 74-77), Paris : Double-Entendre, 2007. - Road Music – Seconde Nature Aix en Provence. - 5eme Saison with Cyrille C. De Laleu et Zol, Festival Seconde Nature, Cité du Livre Aix en Provence. - LSSL (Locus Sonus in Second Life) Festival Seconde Nature, Cité du Livre Aix en Provence (Locus Sonus). - Version Beta, Centre pour l'image contemporaine St Gervais, Geneva, Switzerland. - Air TV – with Cyrille De Laleu, Festival Seconde Nature, Fondation Vasarely, Aix en Provence, France. - Installation “Locustream tuner”, Festival sous la Plage Paris France (Locus Sonus). - Performance “Wimicam”, Festival “Bandes Images”, Bourges France (Locus Sonus). - Exhibition Locusonus Road show GMEM, Marseille France. - Sound sculpture for “Je suis” by Valere Novarina, presented at Theatre De La Ville, Paris France. - Installation Performance “Locustream Tuner” River Fawn Gallery, Tribeca New York USA (Locus Sonus). - Installation “Locustream Tuner” “DIGIT festival” Delaware Valley Pensylvania USA (Locus sonus). - Installation Performance “Locustream Tuner” Arborescence (digital media festival) Aix en Provence, France (Locus Sonus). - Residency “Arts Terres” research into the use of sound with the deaf and hard of hearing, Marseille, France. -“AVAD” with Cyrille De Laleu, District Gallery Marseille, France. - “Soapopera for Imacs” with GH Hovagimyan, La Jeu de Paume, Paris. - “Enseigner Produire” Centre Georges Pompidou, Paris France. - "Transvision" with Cyrille De Laleu, Grand theater/ tchumi pavilion Groningen Netherlands. - ,"Rant rant back back rant" Groningen Museum of Contemporary Art, Netherlands. - "Rant rant back back rant" STEIM, Amsterdam, Netherlands. - "Wifil de France" Daisy Chain collective, ARCADI, Paris. - Split, Festival de Cinema et de Nouveau media, Croatie. - New York,USA. avec GH Hovagimiyan. performance Postmasters Gallery avec GH Hovagimiyan. L'Ecole Supérieure des Beaux Arts de Lyon 1987. L'Ecole Supérieure des Beaux Arts de Metz 1988/89. L'Ecole Nationale Supérieure des Beaux Arts de Dijon 1995. L'Ecole Supérieure des Beaux Arts de Aix-En-Provence 1996/2005. La Villa Arson, Nice France. School Of Visual Arts New York. National college of Arts, Lahore, Pakistan. Anne Roquigny, media arts curator, has specialised during these last ten years in the production, coordination, promotion and curating of hybrid digital projects linked to networks and to the Internet. After a professional experience related to teaching and adult education, Anne Roquigny (www.roquigny.info)) specialised during these last ten years in the production, programming, co-ordination and promotion of multimedia events. In April 1999, she joins the CICV Pierre Schaeffer as artistic co-ordinator and programmer of the international urban multimedia arts festival, Les Nuits Savoureuses de Belfort in 1999 (http://www.nuits-savoureuses.net/1999/ ) and the Interferences festival, which comprised 350 artists from more than 40 countries in 2000 (http://www.interferences.org/). From December 2000 to October 2002 she assists Pierre Bongiovanni (www.bongiovanni.info), director of the CICV Pierre Schaeffer, an experimental arts centre. This internationally orientated production and residence site welcomed approximately a hundred artists every year. It was closed in 2004 but placed the issues of image, sound media and networks at the very heart of its activity for fifteen years: audio-visual production / visual arts / performing arts in relation to new stage technology / musical creation / visual immersion environments / online performances and events / web-casting / debates and colloquiums / educational projects (http://www.next-movies.com/, www.cicv.fr). From October 2002 to June 2004, Anne Roquigny is in charge of the general co-ordination of the preliminary project for a future Digital Arts Centre in Paris, dedicated to digital production and to music of our time, at La Gaîté Lyrique http://gaite.arscenic.org. The Mayor of Paris, Mr Bertrand Delanoé, entrusted Pierre Bongiovanni with this mission before the construction of the new building. Anne Roquigny now develops the web performances project WJS http://www.wj-s.org. and co-coordinates with Peter Sinclair and Jérôme Joy the project Locus Sonus a research lab specialized in audio art and it's relation to space and networked audio systems. Ecole supérieure d'Art d'Aix en provence, Ecole nationale supérieure d'art de Bourges.